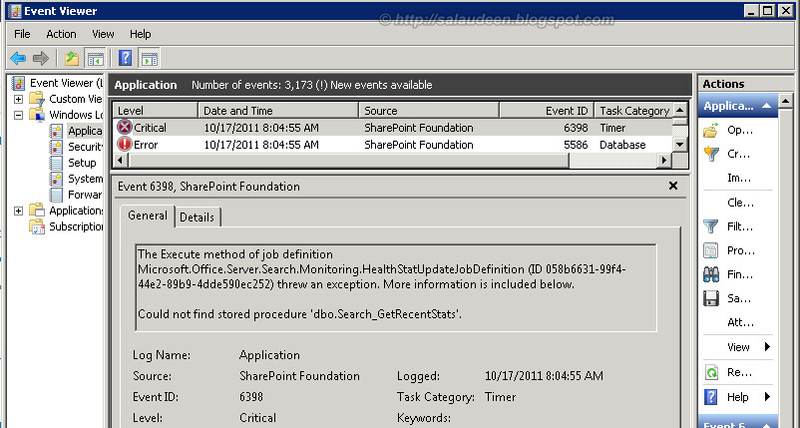 In a SharePoint Implementation, after provisioning Search Service application, Event log gets filled by these two events every minute: 6398 and 5586. The solution is: Enable health data collection. go to "Central Administration >> Monitoring >> Configure usage and health data collection" and check "Enable health data collection" check box. Don't forget to Restart IIS and SharePoint Timer job! If its enabled already and still these IDs are logged into event viewer, then disable that first. Restart IIS and SharePoint Timer service. 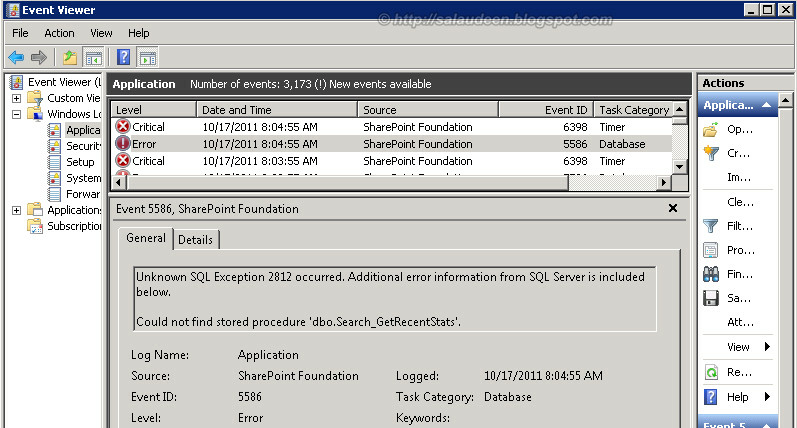 Enable them and then Restart IIS and SharePoint Timer service again. when you say restart sharepoint timer job, you mean one specific timer job, or you mean something else? thanks. I mean the SharePoint Timer Job from Services console! Type: services.msc in Run dialog box, Find the "SharePoint 2010 Timer" service, Right click on the service and choose "Restart".